Someone wants you to spit a hot 16 on a single or create a beat for their new project. What do you charge? Or do you even charge it all? Would you ruin the opportunity if you asked for money? Maybe the exposure is worth doing it for no pay. Hmmmm…what do you do? Being a professional music producer, I’m often challenged by the same questions. And I’ve seen these situations play out between artists throughout my career. 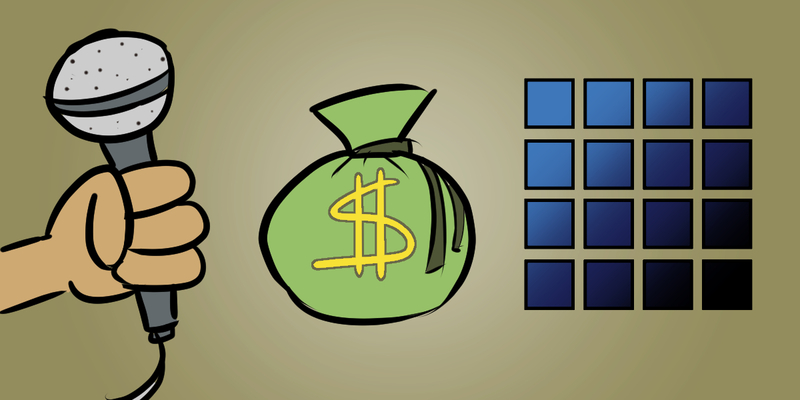 Here are four ways to measure your worth and determine what to charge for your artistry. When it comes to determining your worth as a rapper in these matters, especially as an independent, the most important metric today is not your skill; it’s how big your fan base is. What usually inspires collaborations between artists is the potential for one or both them to be introduced to a brand new audience. And people are willing to pay for or “swap” featured performances to gain access to more listeners. Collaborations that involve no payment only make sense if increased exposure is mutually beneficial. An artist with thousands of social media followers won’t help himself much by doing an unpaid feature with an artist who only has a couple hundred. Your list of noteworthy credits can definitely boost your value in the music industry. For beat-makers and rappers, having a history of features and placements with artists of a higher status can greatly increase your leverage when negotiating the price for your work. Sometimes how much you charge comes down to raw talent. How good are you? Is there a demand for your beats? If the beat is hot, most listeners couldn’t care less about the popularity of its composer. If you’re a beatmaker who consistently puts out hot beats, the demand for exclusive use of them can determine how much you should charge to acquire them. Does your flow or writing skills elevate the quality of a song? Sometimes you don’t have to be popular for others to instantly recognize talent when they hear it. Some beatmakers will forego the exchange of money for services if they are presented with the chance to place that hot beat with a well known artist. This business exchange has always seemed predatory to me. The much more popular artist, who certainly can afford to pay for the up-and-comer’s music, chooses to offer the beatmaker “exposure” in place of payment? This rarely works out to the beatmaker’s benefit, because his credit is almost never publicized. Accomplished producer Flying Lotus brought some attention to this greedy practice on Twitter. With bars or with beats, it’s always best to survey the landscape to find out 1) who’s paying for what and 2) how much are they paying. This is a good way to make sure that you don’t undervalue your work (or price yourself out it). Years ago, people paid a lot more for beat production, until $7-beat sites arrived. After that, people were less motivated to spend lots of money on a beat that might offer no return on investment. With or without payment, it is always in your best interest to keep your publishing and creative copyright share of the complete composition. It’s certainly common to waive these rights if the upfront money is significant, and I’ve done several deals throughout my career where this was the case, but keeping some partial ownership of any composition you are creatively a part of ensures that you won’t regretfully be left out if that song becomes a huge hit. If or when that song is a part of any type of media broadcast, you’ll continue to receive royalty payments. Legal paperwork can seem like such a tedious mess when you just want to create in the beginning, but fair payment for work and protection of your creative rights is the best way to establish a livable career in the music industry.